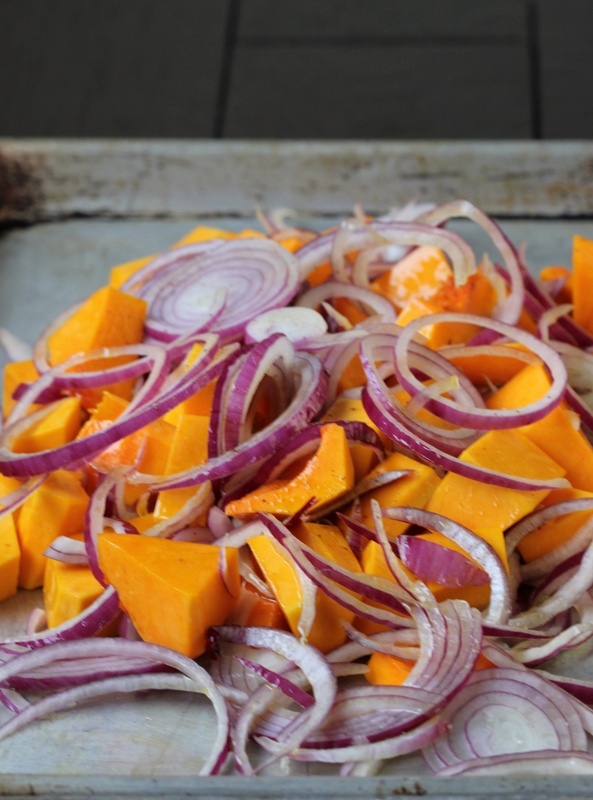 Put the squash and onions into a large mixing bowl. Add 5T. of the oil, salt, pepper, and toss well. Spread on a baking sheet and roast in the oven for 30-40 minutes or until the vegetables have taken on some color and are cooked through. Keep an eye on the onions as they may cook faster than the squash and may have to be removed earlier. To make the sauce, place the tahini in a small bowl along with the lemon juice, water, garlic, and 1/4 t. salt. Whisk together until it's the consistency of honey, adding more water or tahini if necessary. Spread the vegetables out on a large serving platter and drizzle over the tahini. I use it sparingly and serve the rest on the side. Sprinkle the pine nuts, then the za'atar, and the parsley. Za'atar is known in the form of a spice mix consisting of powdered dried za'atar leaves, ground sumac, toasted sesame seeds and some salt. It can be found in some grocery stores and at Penzeys.